An Oklahoma native, Jerry Burger was born in Tulsa and raised in Northeastern Oklahoma. He and his wife Carleen lived in Jerseyville, Illinois for eleven years where he served on numerous state and community boards and was the Rotary Club president. Jerry was a pre-med major in college and received his Bachelor’s of Science degree from Northeastern in 1967. He chose to go into the draft that summer and spent his basic training at the resort known at Fort Polk down in Louisiana. After basic he was ordered to Washington, D.C. where he trained at Walter Reed Medical Center and became a member of the Walter Reed Institute of Research. He spent a year in Vietnam as a member of the Surgical Research Trauma Study Team. In 1974, he graduated from the St. Louis/Washington University Physician Assistant Program where he was the class president. He was a founding member of the Missouri Academy and was also the president and a founding member of the Illinois Academy of Physician Assistants. Jerry received his Master’s of Science, Business and Health Administration from the University of Colorado in 1987. 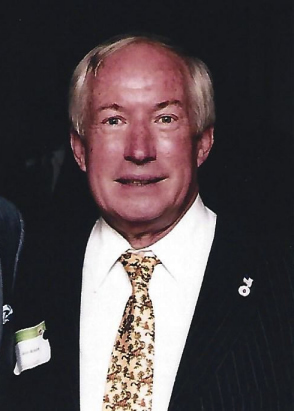 He was the executive director of the University of Oklahoma Medical Alumni Association from 1987 to 1999. He and his wife Carleen have six children, Charles a chef, graduated from the Culinary Institute in New York. David a physician graduated from Saint Louis University Medical School and is a Diagnostic Radiologist here in Oklahoma City, John, after graduating from the Oklahoma School of Science and Mathematics attended the United States Naval Academy where he was President of his Class and now a Psychiatrist. Paula graduated an Honor student from the University of Oklahoma and is the mother of the Best Grand Daughter possible. Nancy a graduate of the Oklahoma School of Sciences and Mathematics, graduated with Honors from Trinity College in Dublin, Ireland. Will, after graduating from OSSM, graduated with Honors in Engineering from the University of Oklahoma.